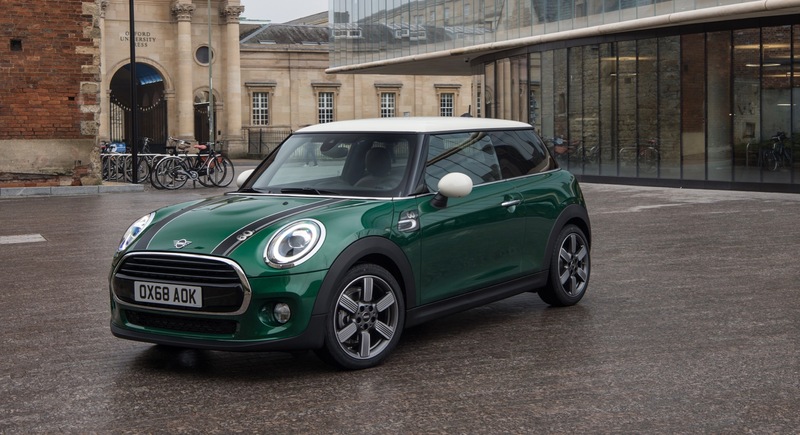 MINI is celebrating its 60th anniversary with a new special edition model that will be available in both the three- and five-door MINI Cooper. The 60 Years Edition is painted in British Racing Green IV, but buyers can also choose from Midnight Black metallic, Moonwalk Grey metallic, Melting Silver metallic or Lapisluxury Blue. Depending on the color you choose, the roof and mirror caps are either colored in Pepper White or Black. There are also hood stripes with a specific anniversary design and the 60 Years Edition rides on unique 17-inch light alloy wheels. To make sure everyone knows how special the 60 Years Edition is, there’s also a 60 Years logo on the hood, turn indicators and on the door sill finishers. The logo has also been applied to the interior as well, like on the front headrests and steering wheel.